A study team at Institute of Solid State Physics (ISSP), Hefei Institutes of Physical Science, in partnership with JIN Rongchao from Carnegie Mellon University reported the atomic structure of Au144(SR)60 determined by single crystal X-ray crystallography (SCXC), which consists of a three-shell gold kernel (Au12-Au42-Au60) and 30 surface SR-Au-SR staples. Bulk gold is noble, however, nanogold is active and has long gained extensive attention for the intriguing properties and potential applications in a large range of fields such as biomedicine, sensing and catalysis since the fabrication of rubby gold in 1857 by Faraday. 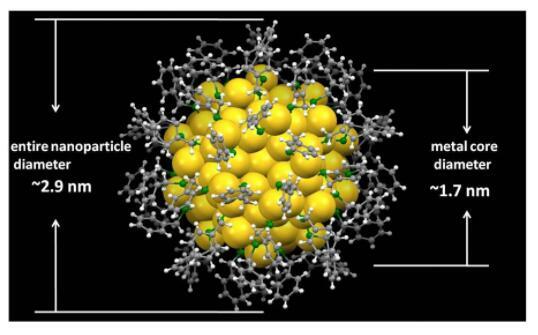 There are two distinct size regimes for gold nanoparticles that are of particular interest, namely, the nanocluster regime with metal diameter less than ~2 nm and the nanocrystal regime with metal diameter larger than ~2 nm. In the nanocluster regime, strong quantum confinement of electrons occurs in the particle, which results in a discrete electronic structure and molecule-like properties (e.g., without the typical surface plasmon resonance absorption peak at around 520 nm owned by gold nanocrystals). The transition from molecular to plasmonic behaviour in gold nanoparticles remains a central question in gold nanoscience and the structure elucidation of gold nanoparticles at the transition size is of particular significance to understand this central issue. 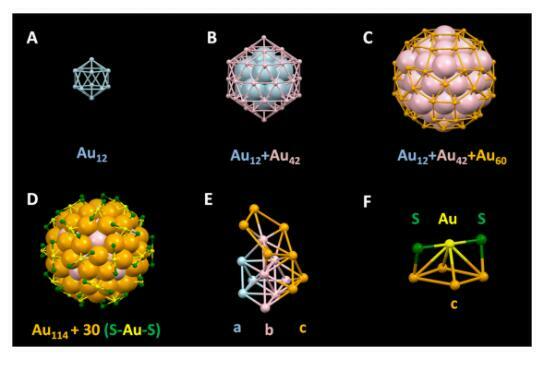 However, the structure resolution of such gold nanoparticles is extremely difficult, for example, the structure of Au144(SR)60 (SR: thiolate) posed a great challenge since its report in 1996 by whetten, et al. Lots of research groups paid efforts for the structure elucidation, but unfortunately failed at the end. In the work this time, the joint team determined the atomic structure of Au144(SR)60 by SCXC to confirm its consisting structure. In addition to the confirmation of atomic structure, SCXC also revealed the existence of weak intra- and interparticle interactions which had been supposed to play very important role in growing high-quality single crystals of Au144(SR)60 by the authors (Figure 3). Besides, the Au�CAu bond in Au144(SR)60, with length close to that of bulk gold, was found to show better thermal extensibility than the other Au�CAu bond with various lengths (Figure 4), providing an atomic-level perspective for the fact that metals generally show better thermal extensibility than nonmetal solids. 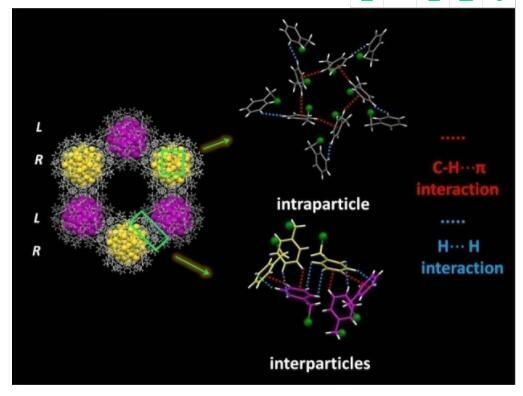 In summary, this work may not only reveal the mysterious, long experimentally pursued structure of a transition-sized nanoparticle but also has important implications for the growth of high-quality, single-crystal nanoparticles, as well as for the understanding of the thermal extensibility of metals from the perspective of chemical bonding. This work is supported by the National Natural Science Foundation of China, Key Program of 13th Five-Year Plan, CASHIPS, Director Foundation of ISSP, etc. Dissection of the Au144(SR)60 atomic structure：(A) Inner icosahedralshell of 12 Au atoms (light blue). (B) Middle icosahedral shell of 42 Au atoms (pink). (C) Outer rhombicosidodecahedron shell of 60 Au atoms (orange). (D) Thirty(SR-Au-SR) staples containing 30 Au atoms (yellow) and 60 sulfur atoms (green). (E) Three-layered Au114 core with an a-b-c structure. (F) Isolated (SR-Au-SR) stapleastride the parallelogram on the Au60 shell. Alkyl groups are omitted for clarity. (Image by YAN Nan).